Early this morning at approximately 5:00 a.m. Calcasieu Parish Sheriff's Office deputies responded to a nightclub located on South Cities Service Highway in Sulphur in reference to a shooting. During the investigation witnessed advised detectives the suspect was inside the nightclub at which time he got into a verbal argument with another individual inside. 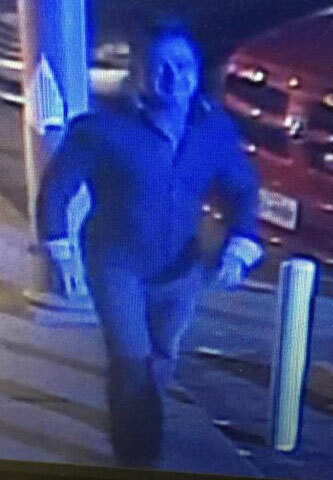 Detectives learned the suspect then exited the nightclub and got into his truck, which is described as a tan or gold late model 4 door Ford F-150 with running boards, and circled the parking lot. The suspect then began shooting from his truck toward the nightclub, hitting the building and a parked vehicle. Witnesses at the scene also advised detectives the suspect may have been recently terminated from a local refinery. If anyone has any information regarding this incident or can identify the suspect seen in the photograph contact the Calcasieu Parish Sheriff’s Office at 491-3605 or Crime Stoppers at 439-2222.